At Phone Ninja we endeavour to be at the forefront of the phone repair game, delivering the best and most affordable iPhone 6 Plus repairs in Perth. With over 30,000 repairs since 2009, we are also highly competent, and we can offer iPhone 6 Plus screen repairs while-you-wait. We have shops across Perth, Western Australia so we are never too far away and we offer a price-beat guarantee, find a cheaper price in Perth and we’ll beat it! Thankfully our Phone Ninja scouts have tracked down all the latest parts to ensure we have what you need. Whether you need a screen replacement, battery repair, battery replacement, and more we have you covered. Like all our repairs we offer only the highest quality iPhone 6 Plus parts available, along with a 3-month warranty, so you can rest assured that your phone is in good hands. Phone Ninja is the brand more people trust, so why wait, come in today to any of our stores for the best repair service in Perth. 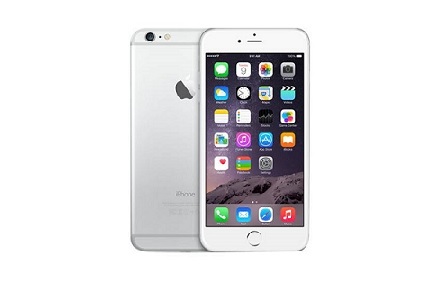 Like the iPhone 6, the iPhone 6 plus has had some rather big upgrades over previous models. The most notable upgrade is the larger 5.5-inch display. Unfortunately, with the taller, thinner design of the iPhone 6 plus, it suffers heavily from frame bending and broken screens. With such upgrades it requires a whole new set of components. So whether you need a new battery or a screen replacement we have you covered.